Welcome, Daniel, Emily, and Delton! Olancho Aid welcomes three volunteers who will serve with our team for the next four months. We are all excited for our new team members who will be joining four year-long volunteers who arrived over the summer. Meet the new volunteers! Daniel is from Misiones, Argentina. He earned an International Baccalaureate from United World College Costa Rica in 2013, and graduated from Wartburg College in 2017, earning a degree in Psychology and Sociology with a concentration in Psychological Development. During his two years in Costa Rica, Daniel was involved in an extracurricular program called CAS (Creativity, Action, & Service); in his 1st year he volunteered in a daycare named CEN-CINAI, and his 2nd year he volunteered in an after school program. At Wartburg College, he had the opportunity to be part of two internship programs: Boys & Girls Club and North Star Community Services. He was also involved in the Service Trips Program having participated and led six different service trips throughout the US. He is ready to begin this new chapter of life with Olancho Aid; he likes the idea of traveling to new countries, meeting new people, and make positive connections for future goals related to non-profits. He is excited to go back and spend some time in his Latino culture with the certainty that we will continue making a positive impact in the Juticalpa community through the Olancho Aid Foundation. 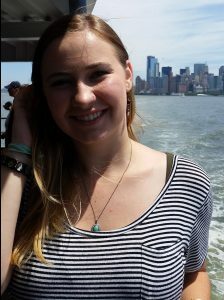 Emily is from Greeley, CO, and graduated in 2017 from the University of Northern Colorado where she studied International Affairs with a concentration in Latin America as well as Teaching English as a Second Language. During college she interned at the Immigrant and Refugee Center of Northern Colorado where she helped with English classes. Emily has traveled throughout Central and South America from mission trips growing up to studying abroad in Argentina during college. Post-graduation she moved to Baltimore, MD to intern at the global headquarters of Catholic Relief Services over the summer. Through her faith Emily discovered a strong passion for helping others and experiencing new cultures. She is excited to tutor the students in English as well as practice her Spanish while she is discovering her new home of Juticalpa. Delton majored in Anthropology with a concentration in archaeology and a minor in East Asian Studies at Saint Mary’s College of California. He graduated in 2017 and has been working with children since 2013. 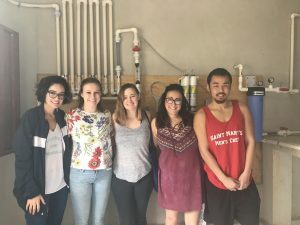 Through the programs Richmond Youth Work and Making Waves Education Program, that help underprivileged youth, Delton tutored at his local elementary and high schools in Richmond, California and around the Bay Area. 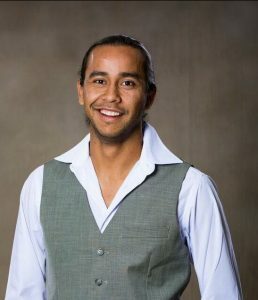 At Olancho Aid, he endeavors to create extra-curricular activities and teach the students positive cultural practices while reinforcing traditional values through dance, music, and art. 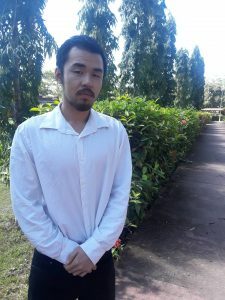 In addition, he hopes to aid in academics such as science, math, and English.